Getting over your fear of spiders is a process that should begin by acquiring more knowledge about spiders and their nature. Typically, people are afraid of what they don’t know; they have misconceptions driving their fears, and learning about the facts can help reduce that problem. The next step is to gradually be exposed to them, allowing a frightened individual to become accustomed to closer contact. During this process, anti-anxiety medication may be used to assist the person in controlling their emotions more easily. These techniques are not foolproof, but they are at least a step in the right direction even if the fears cannot be completely alleviated. Exposure therapy is the most crucial step to overcoming a fear of spiders. One can start off by doing simple things like seeing a picture of a spider until it doesn’t bother them as much or at all anymore. The next step is to get a fake but realistic-looking spider and interacting with it. Eventually, they will have to confront the real thing, but they’ll start small. First, a small spider may be placed on one’s hand. 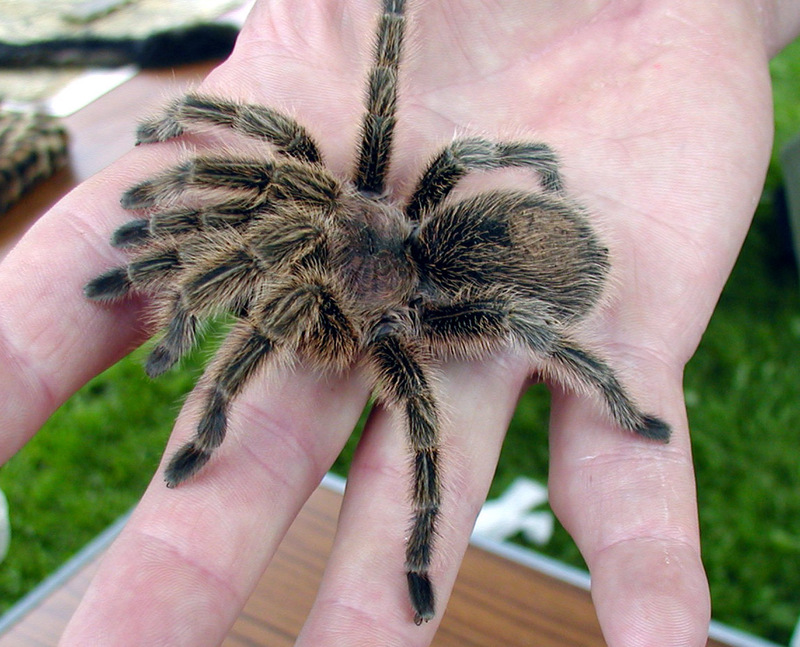 Eventually, the world’s largest spider, the tarantula may be used to crawl on one’s hand. Leading up to this step might involve having the tarantula crawl on someone else, but having the participant interact with the tarantula in some way. It is not necessary for a patient to advance through all stages in the exposure process, but the ultimate goal is to develop some tolerance, however little, so that the fear is no longer debilitating. For some individuals, their fear of spiders is so great that it can permeate into every aspect of their life. For instance, they may feel the need to inspect every room they will be using in advance for evidence of spiders to determine whether they should remain there or not. Often there will be no spiders present, but seeing one may be so traumatic that they are unable to function properly. Some individuals develop extreme paranoia, and live their life based on avoiding spiders as much as humanly possible. For people suffering from such an extreme fear, any reduction in their fears, even a little bit, can be a positive and life-changing step forward. One typically develops a fear of spiders due to some past occurrence in an individual’s upbringing. Perhaps they were bitten by a spider, or they experienced some other traumatizing moment due to a spider. Some scientists believe that there may be a genetic component to an individual’s fear of spiders. Some controversial evidence suggests that it is quite healthy to fear creatures like spiders or snakes because it might be a defense mechanism our ancestors had to survive. “Chilean.rose.tarantula.arp“. Licensed under Public Domain via Wikimedia Commons.